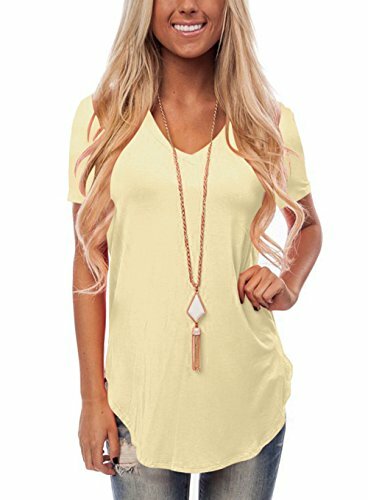 Tunic tops features:V neck,long sleeve, solid color, loose basic shirts, tops for leggings, tops for Juniors,casual t-shirts basic long sleeve tee blouse t shirts for women teen girls tees.Pefect wear with jeans or leggings in spring,summer,fall or winter.New for this season, An essential for very fashion women or girls. 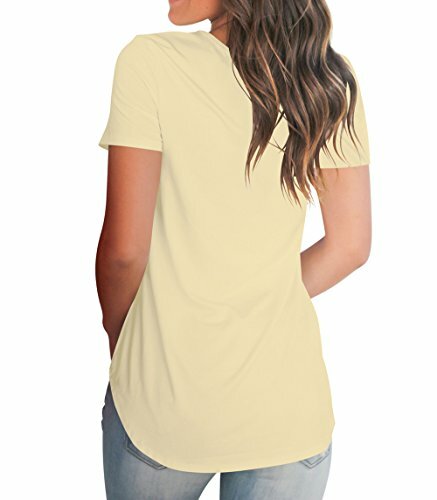 This basic long sleeved tee womens tops is a good wardrobe basic to have on hand.Super soft casual loose t-shirt,smooth,stretchy and lightweight fabric makes the long sleeve tee shirts 100% comfortable. 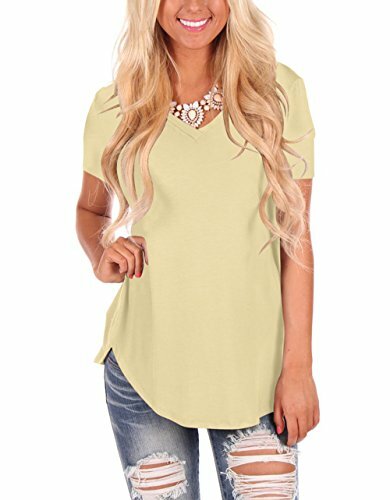 This women tunic shirt trendy and elegant item which is perfect for casual, date, working, shopping, home, outdoor, indoor, business, prom, wedding, party, club, festival, travelling, jogging, school, daily wear，maternity wear etc. 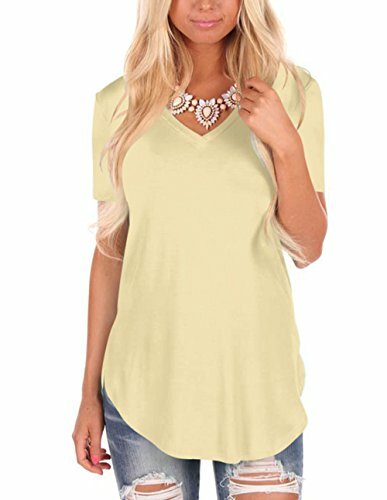 This long sleeve t shirt is the best choice in any season.You will receive a lot of praise.